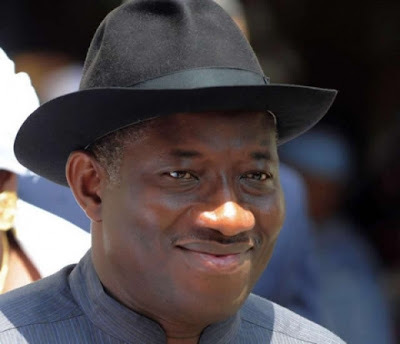 WorldStage Newsonline-- President Goodluck Jonathan of Nigeria Thursday promised that his administration will fully implement the report of the Presidential Committee on a National Broadband Strategy and Roadmap as part of the plan to revolutionize the communication industry in the country. Jonathan who spoke after receiving the report which was jointly presented to him by the Minister of Communications Technology, Mrs. Omobola Johnson and the Co-Chairmen of the Committee, Dr. Ernest Ndukwe and Mr. Jim Ovia, said that he was confident that the successful implementation of the National Broadband Strategy and Roadmap will help to positively revolutionize communications in Nigeria. He said that he was wholly subscribed to the committee’s view that broadband is to the 21st century information age what electricity was to the industrial age and would therefore give the fullest possible support to the effort to ensure that Nigeria is wholly integrated into the global digital communications network. “Any country that lags behind in the current age of ICT will miss a lot. That is why we have created a separate Ministry of Communications Technology to facilitate the establishment of the best digital communications infrastructure in Nigeria and optimize our adoption of global best practices in the use of information and communications technology,” he said. The Committee, which was established in September 2012 to develop a broadband strategy and roadmap for Nigeria, said that the key objectives of the plan which it has evolved are: to promote pervasive broadband deployment in the country; increase broadband adoption and usage and ensure the availability of broadband services at affordable prices to maximize its socio-economic and political benefits. It is expected that in the 2013-2018 implementation period a fivefold increase in internet and broadband penetration will be achieved in the country and that all state capitals and urban cities would have metro-fibre infrastructure installed within the period.